($50 value), Starbucks Card ($25 value) and free Wi-Fi. 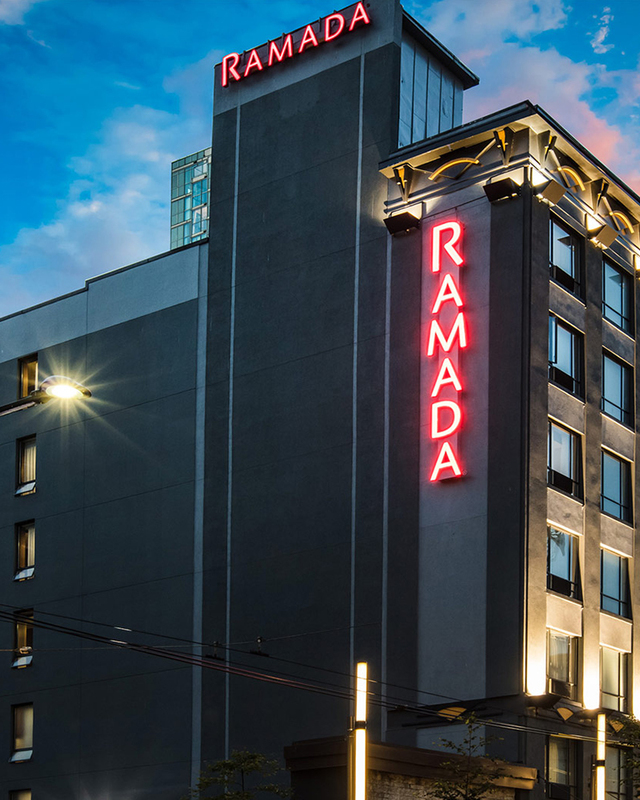 Located on the famed Granville Strip in the heart of downtown Vancouver, the Ramada by Wyndham Vancouver Downtown hotel ensures that you experience the very best of the city right at your doorstep. 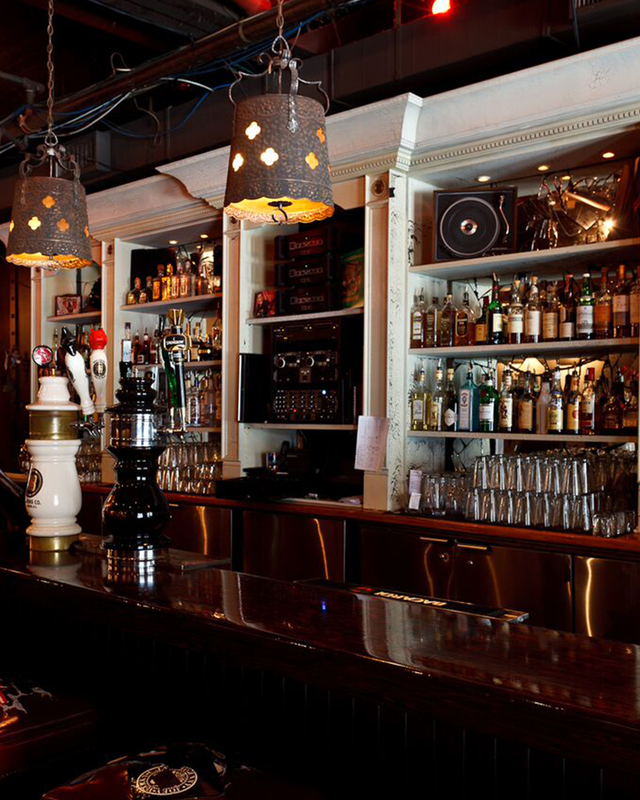 Granville Street boasts a wide variety of restaurants, bars, and theatres, and is just minutes away from must-visit neighborhood districts such as historic Gastown, stylish Yaletown, and the bohemian West End. 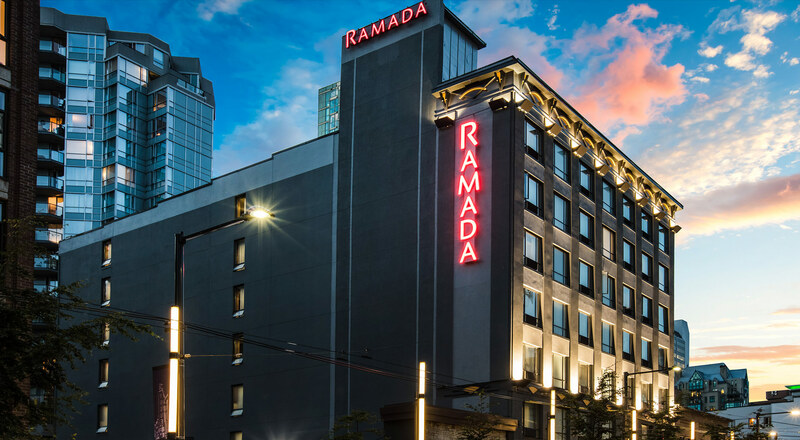 Our convenient Ramada hotel location also places you in close proximity to the Vancouver Cruise port, an assortment of art galleries, upscale shops, and landmarks like Stanley Park. Our spacious rooms and suites are beautifully furnished with granite countertops and outfitted with comfortable pillow-top mattresses, 37’’ LCD TVs, complimentary tea and coffee, and more. 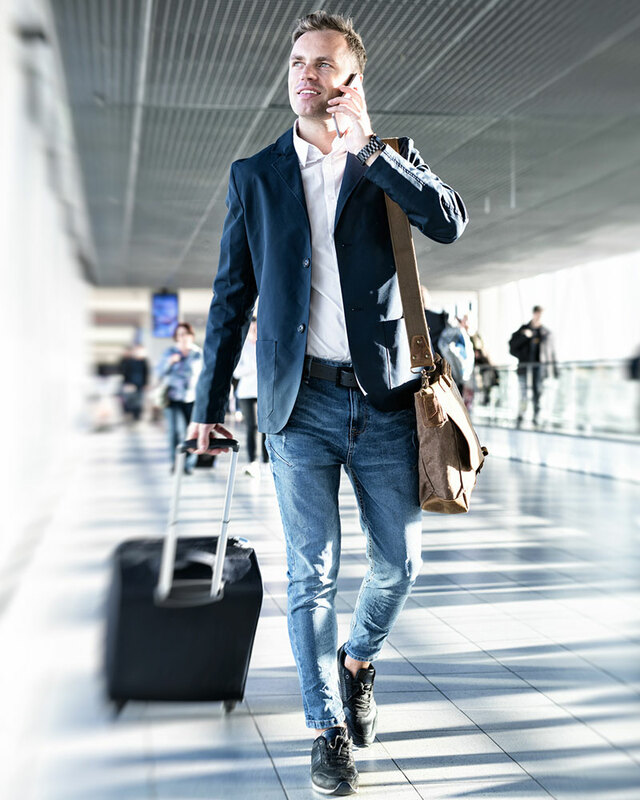 Ramada by Wyndham Vancouver Downtown provides a 24-hour concierge service, as well as convenient amenities including hotel parking, free fitness passes, and dry cleaning. You won’t want to miss the hot breakfast, discounted for our guests, at the on-site Morrissey Pub and Restaurant (a legend in its own right!). 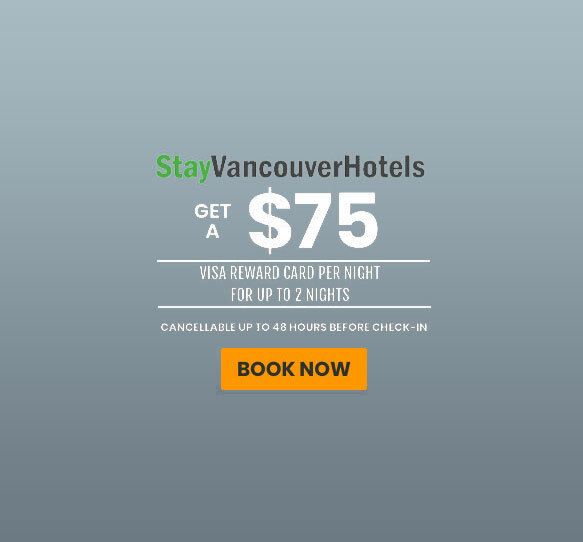 Book now and experience why we are known as one of the best hotels in Vancouver BC. Perfect for a weekend away. Save 20% off your rate when you book with us for three nights — just punch the promo-code SR6 in the rate field. 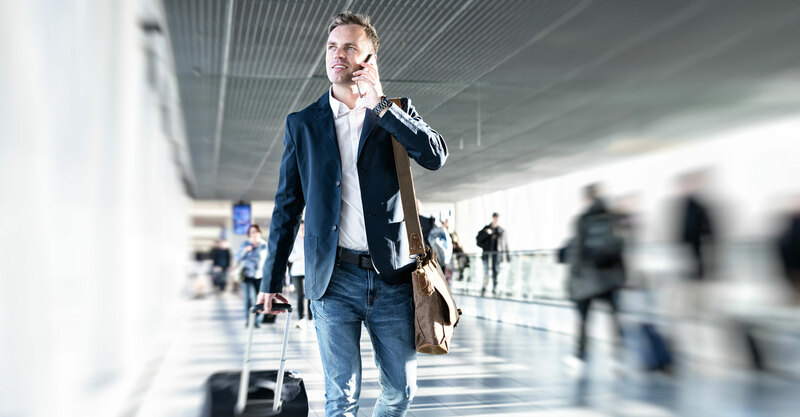 Free online shopping just for staying with  Ramada by Wyndham Vancouver Downtown? Yes, please! 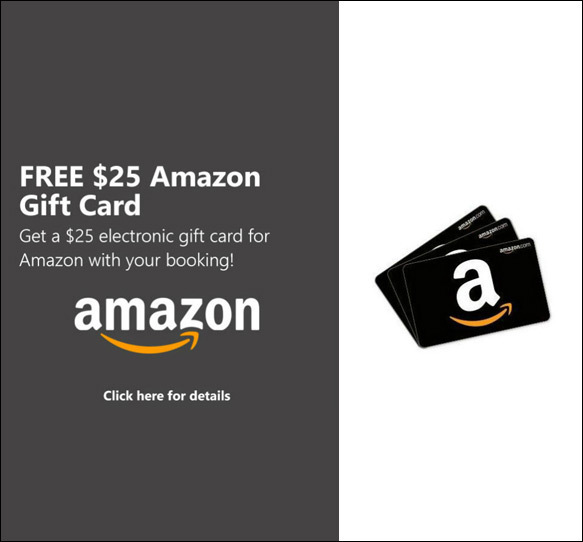 Book online and receive a gift card of $25 with your stay. This offer is only available for a limited time. 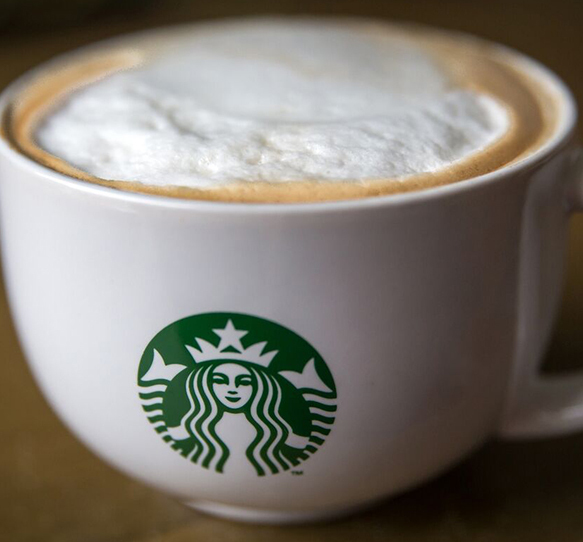 Book your stay with StayVancouverHotels.com and receive a $25 Starbucks Card, just for booking! Coffee’s on us for your stay! This offer is only available for a limited time. Home to teams like the Canucks, the Giants, the Whitecaps, and the BC Lions, Vancouver is truly a sports lover’s destination. Spend an unforgettable day on the slopes at a nearby mountain, check out local listings to catch a stadium game, or walk into one of the city's many sports bars to enjoy your favourite drink and watch the game on the big screen. From charming boutiques along Main Street to local staples like Lululemon on Robson Street to high-end designers in Holt Renfrew, shopping in Vancouver offers something to suit every taste. Find a great mix of it all at Pacific Centre, a premier shopping mall within walking distance from our hotel. 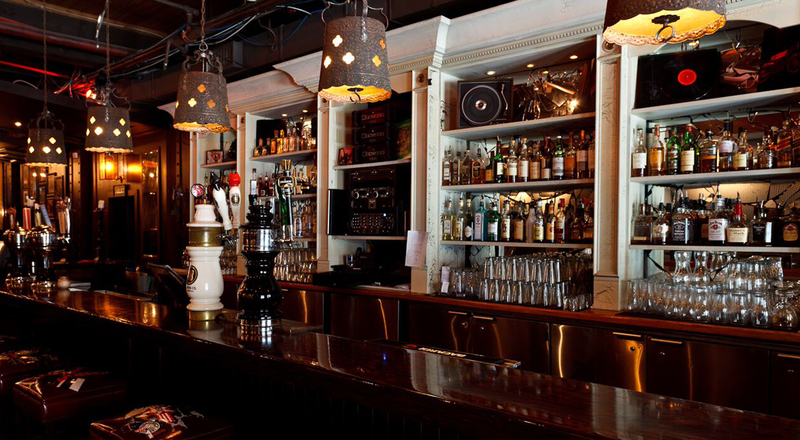 Our on-site Morrissey Pub and Restaurant is a local legend, not to mention it has fabulous drink specials. Located in heart of the Granville Strip, our hotel is steps away from the eclectic concentration of nightclubs, bars, and live music venues. There’s always something different happening any day - or night - of the week. Vancouver’s oldest neighbourhood is rich in history, from its storied cobblestone streets to the steam clock that whistles on the hour. With a diverse array of boutiques, restaurants, and beautiful heritage buildings, a visit to Vancouver is not complete without a stroll through Gastown.